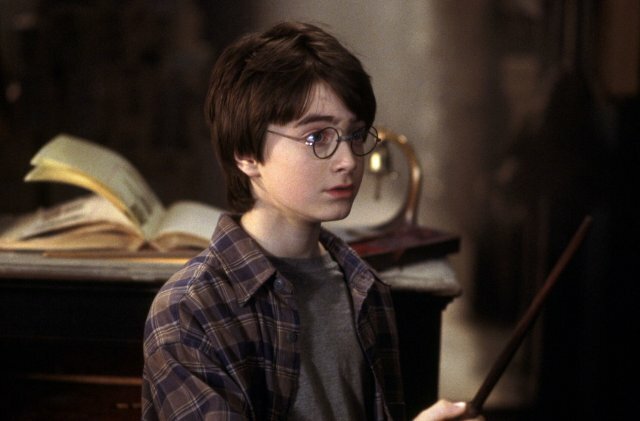 Just revisited: 'Harry Potter & The Sorcerer's Stone' — Sorry, Internet. Just read is a blog where I blog about something I just read. Here are all of the entries. And here are all of the entries that are specifically about books (i.e. IRL books, not like comic books, you know?). I'll put all the Harry Potter-related entries over here moving forward. Inspired by this week's kickoff of Binge Mode: Harry Potter, I re-subscribed to Audible and listened to Harry Potter & The Sorcerer's Stone this week. As I got through the approximately 8.5-hour audiobook in about 26 hours of real-life time, you could say I Binge Mode-ed it myself. First, a bit about Binge Mode, which is becoming a highlight in my podcast feed. It's the only show I'm currently listening to from The Ringer's podcast network, and it has recently been featuring Mallory Rubin and Jason Concepcion dissecting a recently released movie or TV show each week. These weekly episodes often take on the same format: Mallory and Jason recap the plot of whatever they're discussing, then choose a main theme from the work, then go through and call out specific points to show how the media represents that theme. It's a pleasure to get this type of analysis for newly released films, because it's often much more thoughtful and put-together than the types of podcasts that release show from a more instant reaction-based point of view. This week, though, they began their jaunt through the entire Wizarding World of Harry Potter. They're going through The Sorcerer's Stone this week with five hour-ish-long episodes all week, with the first four episodes splitting the book up into chapters and investigating the overarching themes in those chapters, and the final episode focusing on the movie. From the first episode, I knew I'd want to accompany this with a revisiting of the Harry Potter series myself. Second, a bit about my personal relationship with the Harry Potter series. While I would generally describe myself to be a huge fan of the books, I haven't re-read the entire series in years. Like many people my age (I'm currently 27 years old), I felt drawn into J.K. Rowling's world not only because of the imagination and detail she inserted into it, but also because by the time we got around to the fifth book or so, Harry and I were just about the same age. Me and many people my age literally grew up with Harry Potter, reading along with the story of a boy who was getting older at nearly the same rate we were. 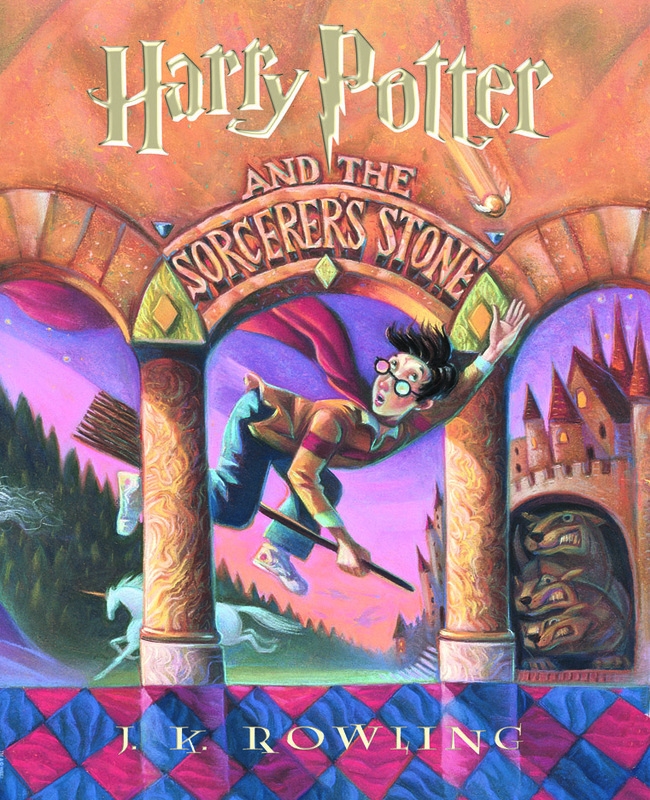 The film adaptation of this first book, when Harry is 11 years old, was released in November 2001, only three weeks after I turned 11 years old myself. I thought a bit this week about why I haven't returned to these books in so long, and I have no good answer. I read each of the first four books multiple times when I was younger, and I've read the fifth, sixth and seventh books at least twice each. But I'm not sure I've read any of these in at least eight years or so. Revisiting the series is something I am extremely excited to do, and I'm particularly excited about the format I'm doing it in. Audible was a no-brainer for this particular run through the series, since I've got the Binge Mode podcast to accompany me. I was encouraged by the hugely positive reviews for the narrator of the series, Jim Dale, whose performance has garnered an average of 4.8 out of 5 stars on Audible on the strength of a ridiculous 56,000 ratings. After moving through the book so fast, I have to say I agree with those folks who rated Dale's performance so high; he changes his voice expertly to denote when different characters are speaking, in a way that isn't too cute or too over-the-top, but enough that you almost always know who's speaking before Rowling's specific attribution. It's read the way you would only hope to be able to one day read it to your children. Taking after Binge Mode, I'm going to choose one sentiment to focus on in my blogs following my listen-throughs of these books. For Harry Potter & The Sorcerer's Stone, my sentiment is: Joy. Having not read this in so long, I had forgotten just how funny, clever, and winking Rowling's writing can be. Portions of the book had me laughing for extended periods of time -- this interaction when Harry tells Ron and Hermione that Professor Snape will be refereeing Gryffindor's Quidditch match against Hufflepuff sticks out. Hermione: Pretend to break your leg. Ron: Really break your leg. And aside from Rowling's noted knack for humor, it was a joyful experience to be transported into the world of Harry Potter again. It's immediately emotional from a nostalgic perspective, if nothing else, to enter a fictional world where you spent so much time as a young person. From Harry's excitement over the Hogwarts letters that flood his home to his first meeting with Hagrid in that shack on the edge of the sea; from our first trip on the Hogwarts Express to the Sorting Hat's conversation with Harry; from that first flying lesson to Harry's triumph in catching/swallowing the Snitch and feeling as though he'd finally found something that would enable him to make his own name for himself on his own terms; from that first Potions lesson with Snape to the safety we feel when Dumbledore's name is mentioned to that first Christmas spent at the castle because who would want to go back to the Dursleys' for the holidays? ; from the bond Harry and Ron form with Hermione after knocking out that troll to Ron and Hermione's insistence that Harry doesn't go it alone in his quest for the Stone ... there are so many joyful moments in this book, moments of true discovery, unlimited imagination and possibilities, and personal, intimate, internal turmoil and triumph. Dumbledore, responding to Harry's look of amazement that Nicholas Flamel and his wife would be willing to give up the Sorcerer's Stone, and, in turn, die: "To one as young as you, I’m sure it seems incredible, but to Nicolas and Perenelle, it really is like going to bed after a very, very long day. After all, to the well-organised mind, death is but the next great adventure." I mean, yeesh. Dumbledore again: "Call him Voldemort, Harry. Always use the proper name for things. Fear of a name increases fear of the thing itself." One major theme of this book is seeking and finding internal courage. In this beautifully written quote, Rowling has Dumbledore express that even saying Voldemort's full name is an act of courage. Again, from Dumbledore: "No, Harry, he has not. He is still out there somewhere, perhaps looking for another body to share ... not being truly alive, he cannot be killed. He left Quirrell to die; he shows just as little mercy to his followers as his enemies. Nevertheless, Harry, while you may only have delayed his return to power, it will merely take someone else who is prepared to fight what seems a losing battle next time – and if he is delayed again, and again, why, he may never return to power." This quote is the last of several throughout the book where Rowling foreshadows Voldermort's use of Horcruxes. Even if she may not have known the full scope or plan of Voldemort's soul-splitting yet, I was astonished to see just how plainly and regularly she foreshadows it. And, just once more, from Dumbledore yet again: "Funny, the way people’s minds work, isn’t it? Professor Snape couldn’t bear being in your father’s debt ... I do believe he worked so hard to protect you this year because he felt that would make him and your father quits. Then he could go back to hating your father’s memory in peace..." Here, I believe Dumbledore intentionally misguides Harry in this explanation of why Snape worked so hard to protect him throughout the school year. As we'll learn later, directly from Snape's memories, he protects Harry out of a seemingly unbreakable love for Harry's mother, Lily. So, right. My general plan here is to make this re-run through the Harry Potter series as fully joyful and fun as possible; I'm not assigning myself any homework here other than to make notes about my highest-level sentiments as I go through each installment. But I do plan to do another read-through of these books in proper format (well, probably Kindle), where I plan to highlight portions of major foreshadowing by Rowling. The hints she drops as early as the first four chapters of this book were exciting to realize, and I think it'd be rewarding to keep a bit of a catalog of those moments in my Kindle notes. Additionally, I rewatched the film adaptation of Sorcerer's Stone this week as well. The film is much more of a children's film than the book is a children's book, but as Mallory Rubin points out on Binge Mode, this adaptation does play the important role of being very loyal to Rowling's book. The Chamber of Secrets adaptation does this as well, serving to keep Harry Potter fans happy and entertained at the start of the film franchise. The movie definitely doesn't have near the staying power of the book itself, though it's still extremely fun to see the visual representations of Diagon Alley, the Hogwarts castle and several of the important set pieces in the story, like the wizard's chess match that Ron plays en route to protecting the Sorcerer's Stone. Harry Potter & The Sorcerer's Stone is available on Amazon in e-book, hardcover, and paperback editions, as well as in a hardcover illustrated edition. It's also available on Audible; if you click this link, you can get a free trial of Audible that includes two free audiobooks. Even if you cancel your trial, you'll get to keep these two books. Also: clicking on any of the Amazon links in this post, and purchasing something from them, provides a small percentage kickback to the author of the blog you just read.